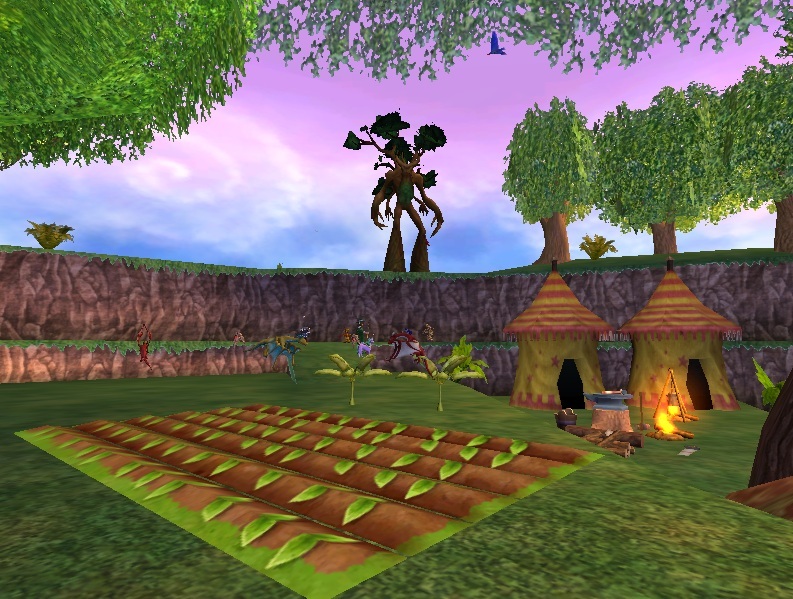 Megan BlueWater's Life school house is decorated beautifully, from her excellent view of a camp ground to her pet areas and perfect living treehouse. Her kitchen which is based way down inside the tree trunk which creates a nice and cosy dining area, I could smell the food cooking just waiting for company to show up. As I traveled up through the tree house I found gardens and pets, even a sun deck all set up for that afternoon luncheon in the sun. The rooms were all set up in different ways from a special music room to a absolutely brilliant library/ class room to sit and learn about the spiral on every book and scroll. Thank you Megan for letting me view your house it is truly awesome! Until next time, happy house decorating.